We know relationships with aunts are special, but humans aren’t the only ones who benefit from these relationships. Researchers have found a therapeutic intervention for autism in mice with Fragile X syndrome. While Fragile X syndrome is not the same as autism, the two conditions have similar characteristics, like social deficits, poor eye contact, and repetitive behaviors. Fragile X syndrome is also the leading known genetic cause of autism. In the October 28 edition of Neuropsychopharmacology, European researchers report that when put in a cage with their mother, littermates, and an extra, unrelated female mouse (the “auntie” mouse), mice with the genetic mutation that is found in those with Fragile X syndrome actually have reversal of social and cognitive deficits. 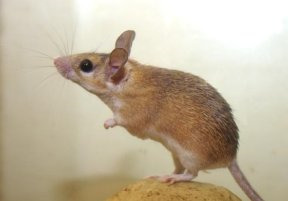 These mice have more physical contact with others because of cuddling with the “auntie,” and by the time they grow up, the mice with the genetic mutation are no different from controls. This isn’t to say that autism is caused by inadequate care from parents, and it’s not as easy as giving individuals with autism extra attention. Instead, the researchers are suggesting that perhaps the boost in social skills with the mice raised with an “auntie” helps normalize brain synapses. Social and behavioral interventions are very personal, and what works for one individual might not work for another, so it’s not clear how these findings can be generalized just yet. This research provides best knowledge of mice. In European Report, I find actual facts mice relationship. Online Research Paper Writer Service releases a research of this work which also shows similar result.